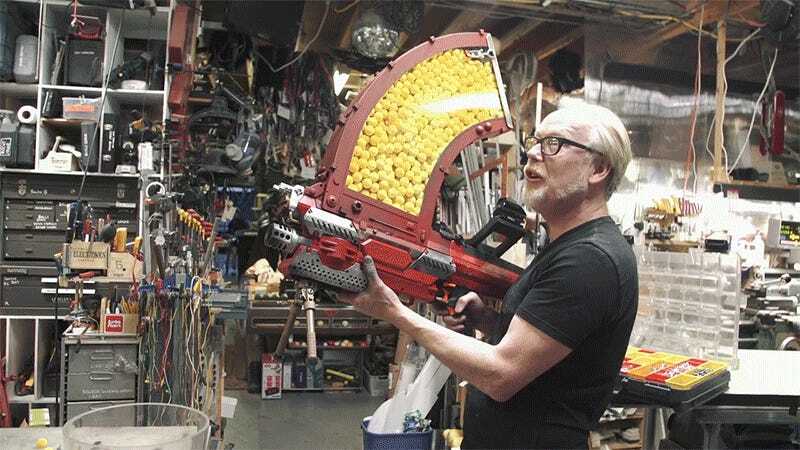 Some of Adam Savage’s most popular Tested videos in recent years have been his one-day builds in which he mods, hacks, and paints Nerf blasters to improve their capabilities, or just make them look like beautiful scifi props. His latest build includes all of the above, as Adam modifies and upgrades a Nerf Rival Nemesis MXVII-10K blaster with a massive 1,000-shot magazine. The results look as beautiful as they do difficult to wrangle, as the oversized magazine added to the top of the Rival seems to make the upgraded toy a little top heavy. 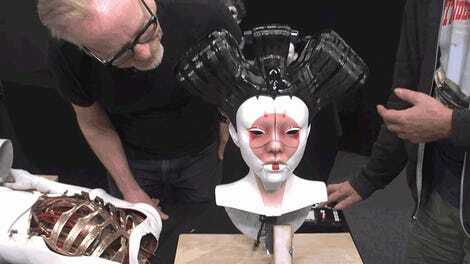 But, the new and improved version definitely looks even more fun to play with than the original. Adam even added an offset laser sight for targeting given the giant magazine makes it impossible to look down the barrel of the blaster for aiming. 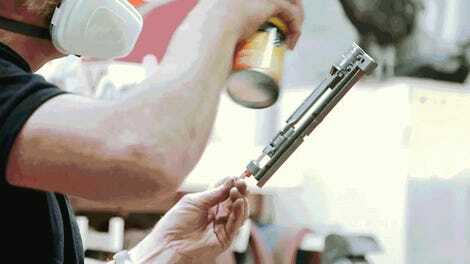 But with 1,000 rounds at your disposal, accuracy doesn’t have to be your primary concern.